Cloud 2018: Should your business really move to Cloud this year? With promises of improved collaboration, efficiency and productivity, it seems every business in Canberra is considering a move to Cloud computing this year. But is Cloud really any better than investing in an in-house server? Especially when servers can now be configured to allow for remote and collaborative working as easily as most Cloud solutions. To help you make the best decision for your business, it pays to consider the pros and cons of each. 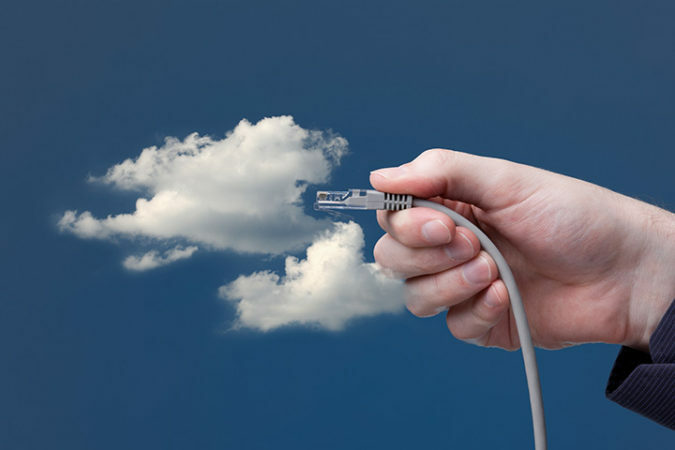 Cloud is an exciting revolution in technology, and is changing the way many of us work on a day to day basis. However, moving your entire business operations (including all of your files and software) to the Cloud can be risky and very expensive. Moving your entire business to the Cloud really depends on what type of business you are running. If you are not comfortable having sensitive business files in someone else’s domain (regardless of how secure they promise it to be), then a total Cloud solution is not for you. In-house servers are the tried and true way of storing your company’s files, and making them accessible to your team. Regardless of the hype of Cloud, it is absolutely possible to make it easy for employees to work remotely, simply by creating and allowing login to a Virtual Private Network (VPN) that runs off your server. This approach not only ensures the integrity of your data, but offers all the bells and whistles of improved collaborative and productive working via file sharing. With advancements in technology however, servers are no longer the huge, bulky systems they used to be. And quite often, a reasonably small server is more than enough to meet most business’s needs. Keep in mind that it must be set up properly by a qualified IT professional, otherwise you may not be able to reap all the benefits. Every business is different, so there is no simple “right” way to choose between a Cloud solution and an in-house data storage solution. At Empreus IT, we often recommend a hybrid approach, which allows you to enjoy the best of both worlds while minimising the disadvantages. For example, we could help you set up and use an in-house server that protects your business files, and limits access only to company employees. We can also create a Virtual Private Network (VPN) that allows for remote sign in and collaborative working. In addition, we can help you understand and make use of quality Cloud products, such as Office 365, Azure, AWS, or Google Cloud, which take collaboration to a new level with a nifty set of tools that are ideal for use during specific projects. And remember – regardless of whether you choose Cloud or a local solution – both still require an experienced IT professional for set up and ongoing maintenance and support. Cloud providers only offer the space you need; they’re not in the business of visiting you on site to ensure you’re Cloud-ready, or your Cloud is working the way it needs to. Empreus IT offer a range of support services, including IT Installations, IT Support and Managed IT Services. Our job is to get you to where you want to be, and then protect you from risks and problems before they impact your business – which can save you thousands of dollars and countless headaches in the long run. For more information on Cloud, in-house servers, or adopting a hybrid approach, please call Empreus IT on (02) 6189 1322 or contact us.